In live action, when the camera moves through the scene, objects near the camera will move by a greater distance than objects far from the camera. 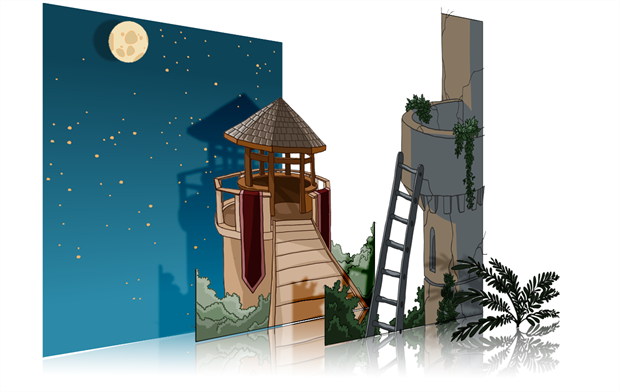 In 2D animation, multiplanes can be used to achieve a similar effect without resorting to 3D backgrounds. NOTE: When creating a multiplane background, it is important to draw each layer fully. 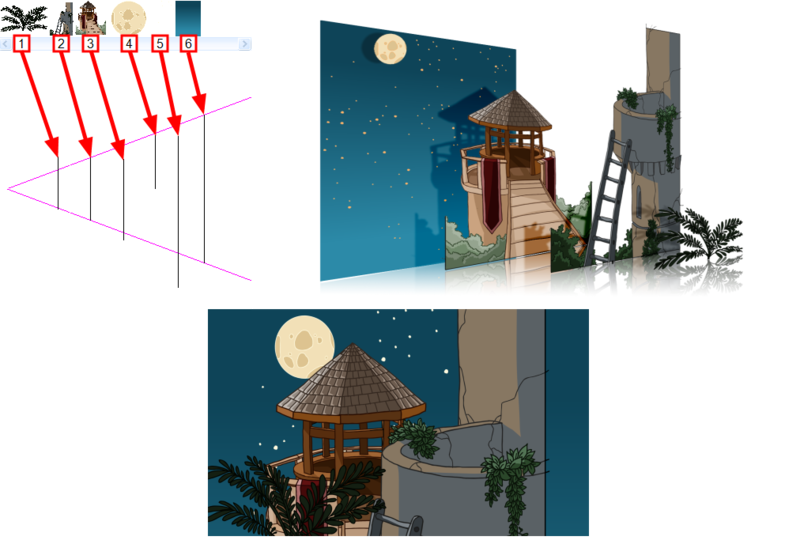 Even if some parts of a background layer is hidden behind a foreground layer in the camera's initial position, panning or zooming the camera may expose parts of background layers that are not initially visible. NOTE: Just like with other transformations, transformations on the Z-axis on a parent layer will also affect the apparent position on the Z-axis of its child layers. Therefore, a child layer's apparent position on the Z-axis can be affected by any of its parents.